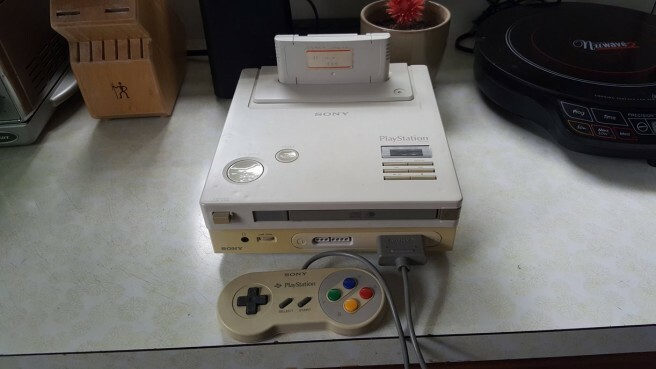 Many, many years ago, Sony was working on the SNES PlayStation. It would have acted as as add-on for Nintendo’s classic console, allowing it to read discs. But unfortunately, it ended up getting cancelled. Now in a new interview, we have some rare behind-the-scenes information about what was happening with the SNES PlayStation. Dwango head Nobuo Kawakami interviewed Shigeo Maruyama, who was once the the CEO of Sony Music Entertainment as well as the former chairman of Sony Computer Entertainment. Maruyama talked about the situation with the SNES PlayStation and also offered insight into the mind of Ken Kutaragi, who largely was the person who pushed for the device’s development. Head past the break for our full translation. Kawakami: It is said that the PlayStation was actually a dedicated Nintendo device. * Editorial staff: There are many books that make that assertion, and it’s become accepted as the truth. Maruyama: Well, that’s not entirely true. Ken Kutaragi was originally in charge of the sound chip on the SNES before he worked on the PlayStation. Sony was just supplying components, with Kutaragi in charge of the production. However, he was a strong advocate for pursuing CD-ROM support over cartridges. He then came up with the idea to install/attach a CD-ROM drive to the top of the SNES, and use the core hardware to run discs instead of Mask ROMs. * Mask ROM: A type of storage device used by computer systems, containing nonvolatile memory that cannot be overwritten. Because they were cheap to mass-produce, they [the technology] were widely used for mass-market game software and internal chips. Kawakami: What? All he did was make an external CD-ROM drive for the SNES? But Nintendo wanted to stick to Mask ROMs for games. CD-ROMs can take 10-15 seconds to load, after all. They probably didn’t think users would want to wait that long. But Kutaragi wouldn’t let up his arguments, so eventually Nintendo told him, “Alright. We don’t think it will be successful, but you can do your CD-ROM thing”. So they told him “You can’t do anything related to Mask ROMs, but you can work on whatever you want involving CD-ROMs”, and then he developed a CD-ROM drive that could be inserted into the cartridge socket. But it still needed software. He had to come up with something interesting to put on the CDs, and that’s when he came to me [for help]. Kawakami: So to recap, Kutaragi was told “You’re allowed to make a CD-ROM drive for the SNES”, and then he came to you saying “Can you make you some software for it?” Is that about right? Um, I don’t see what this thing has to do with the PlayStation. Maruyama: Well duh, it hadn’t happened yet (laughs). So the president of NoA at the time, Mr. Arakawa, who was in Seattle, probably saw it as a big problem. He supposedly warned the Japanese HQ over and over that if they let Kutaragi do whatever he wants, he might take over the whole company. * Minoru Arakawa: Born in 1946. Acted as the president of Nintendo of America (NoA) from its founding in 1980 until 2002. Son-in-law of the former president of Nintendo, Hiroshi Yamauchi. Kawakami: I see. If you don’t mind, could you tell us a bit more about that? This was around the same time Nintendo was focusing on gaming as its main business, and there’s speculation that Sony was planning to monopolize the enormous non-gaming markets. In other words, Nintendo might have perceived Sony’s push for the CD-ROM format as an attempt to take over music and movie distribution/platforms. In actuality, that market ended up having more hidden potential than even the video game industry.